Shopping for Terminator Bobble Heads? Come with him if you want to… die! 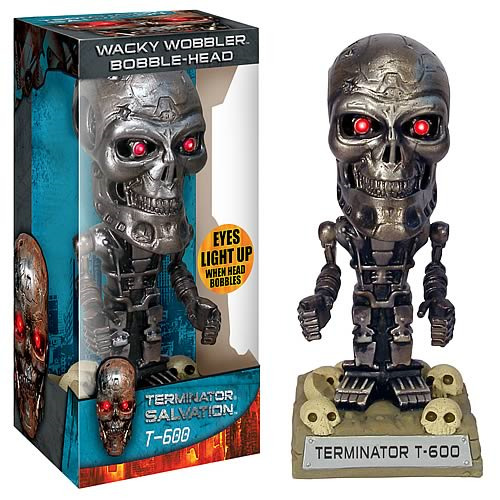 The Terminator T-600 Wacky Wobbler is from the 2009 movie Terminator Salvation. He has red LED lights for eyes, and one nasty attitude! This fantastic Terminator T-600 model Wacky Wobbler is just what you need to strike fear deep into the hearts of your friends and co-workers! With red LED lights for eyes, this guy is sure to terminate any boredom you've got in your room or office!